Progress has been cracking along in the All The Good Ones shed. 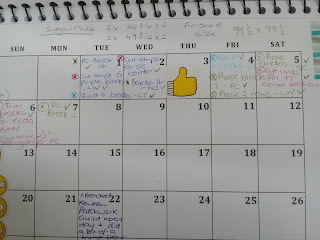 On my diary/calendar I have ticked off all of my monthly goals apart from one... and there's still some days left. After listing out my goals for the month, I wrote in the calendar space some key tasks that needed to be done to achieve my monthly goal. BUT, I haven't micromanaged every single activity, just those things that have been holding up the works. After I finished the first grouping of mini tasks... 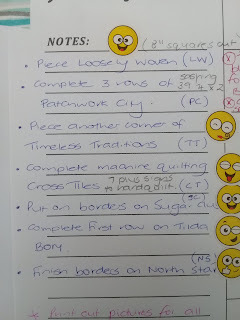 I added in some more BUT those 8 odd tasks took a good two weeks to complete. On the positive side... some of those goals have kept growing and I have achieved much more than I expected. 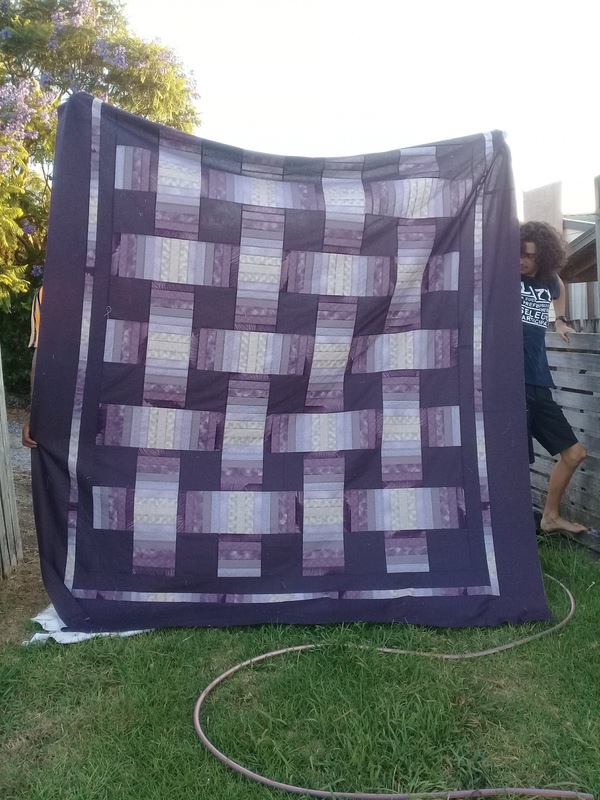 For example the Cross Tile quilt my monthly goal was to finish the machine quilting, which I did AND I managed to get binding sewn on and three quarters hand stitched down! 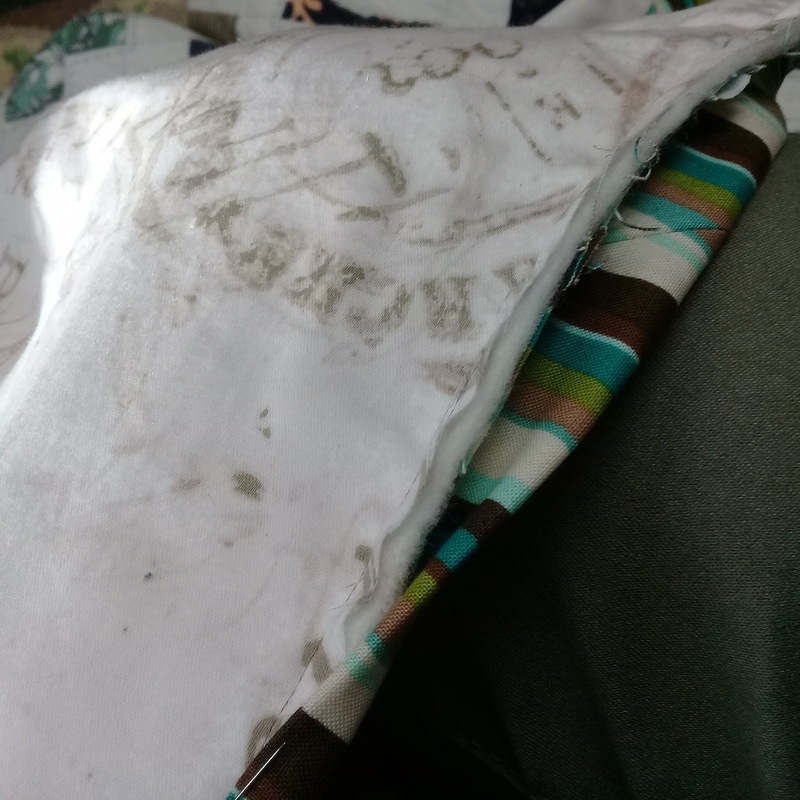 My goal for Timeless Traditions was to get the second corner section sewn together (which I had been majorly putting off) AND I managed to get this sewn as well as hand stitching a section of bias stem. I have added a mini task to trace out the applied shapes, which is a nice job to do while suffering from the summer heat. It has also been transferred to the design wall! 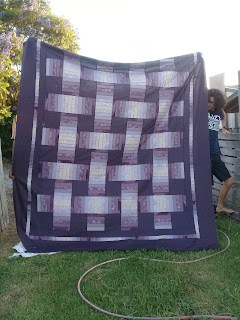 My super duper goal for January was to get the Loosely Woven quilt top fully pieced... and this got completed on Monday. I added my own borders for this one, using off cuts from the strip piecing and it worked out perfectly for the king size required. And the North Star borders that were giving me conniptions has also been finished! 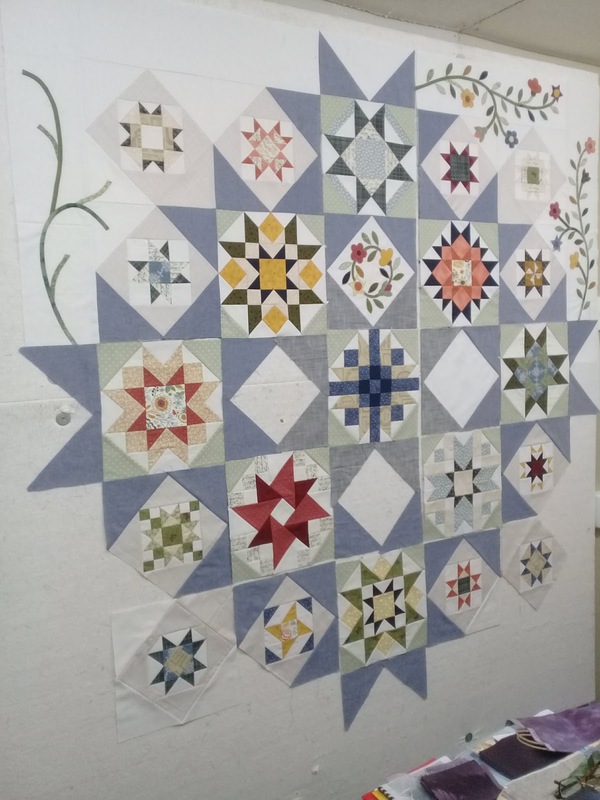 Adding the pieced sections to extend the outer squares was not what I really wanted to spend my time doing... but I also knew it would be so worth it. 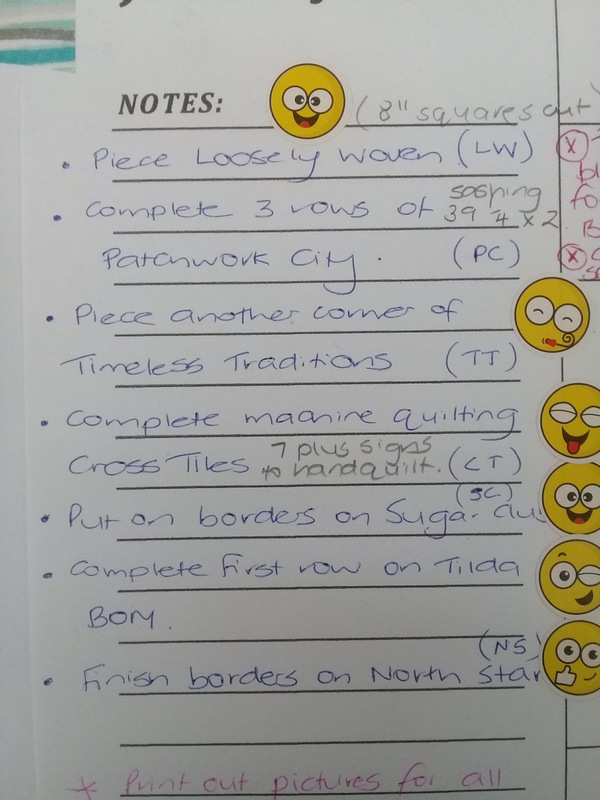 Good on you, working through your list like that!! Your new year has got up to such a good start! 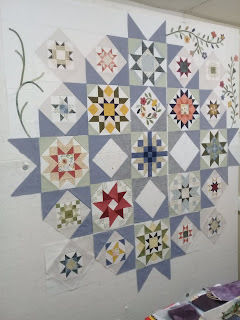 I'm loving your North Star - nicely tidied up - and the Loosely Woven still makes my heart sing! The quilt on your design wall is to die for! I think I'm in love! 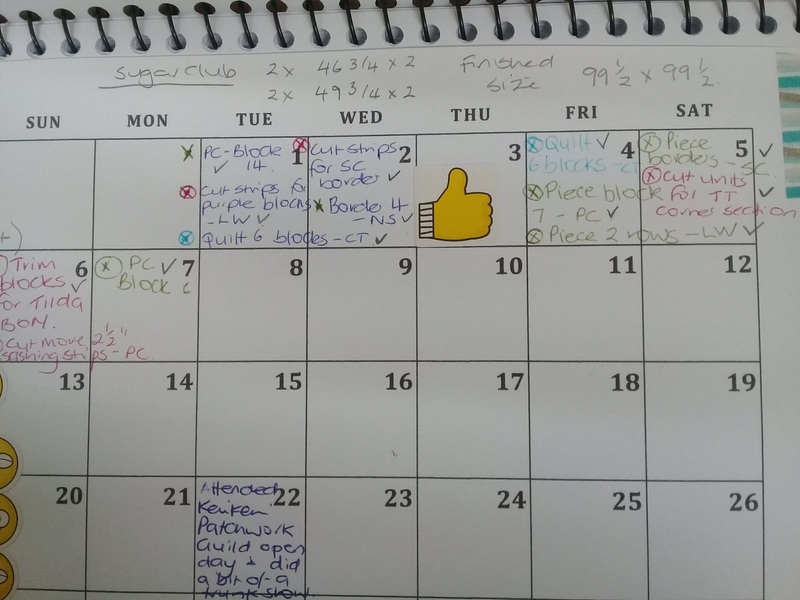 Your calendar looks like mine. I too love to write quilty goals on it. Look at you go Suz!! 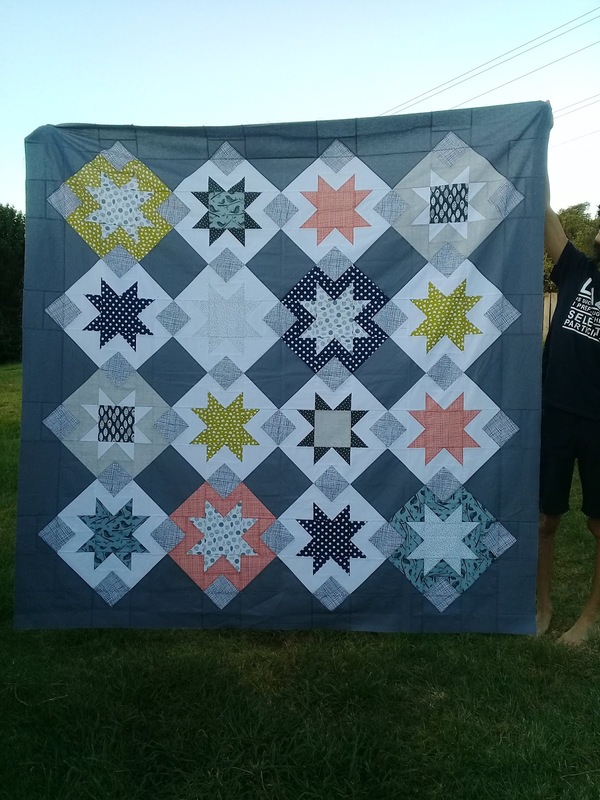 The Timeless Traditions quilt is SO gorgeous! And North Star turned out beautifully too! Your system is certainly working!